LOUISVILLE, KY (WAVE) - The WAVE 3 News Storm Tracking Team works tirelessly every single day to keep families in WAVE County safe. As the area's largest and most experienced weather team they continue to lead the way with a new concept to keep our viewers informed. 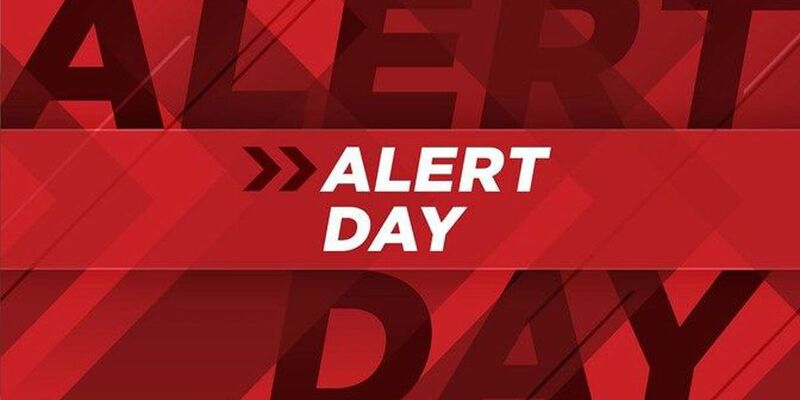 Now, when the weather will be a cause for concern in WAVE Country, it's going to be even more clear, when WAVE 3 News declares an "ALERT DAY." ALERT DAYS are designed with our viewers in mind, so WAVE Country won't have to wait for news that's most likely to affect the ones you love. The goal would be that an ALERT DAY be declared several days in advance allowing you time to prepare for what's ahead. However, there may be times as the weather rapidly changes that one is issued only hours in advance. The bottom line is that whenever you see the messaging for an ALERT DAY know that our team is paying closer attention to something that my disrupt your day. Kevin Harned and The WAVE 3 News Storm Tracking Team has been working on the criteria of declaring and activating Alert Days for nearly a year – taking into consideration extreme cold & heat, high wind, severe storms, fog, black ice and snow to name a few. That weather criteria combined with timing and impact are all taken into account. Examples include: will extreme cold hit on a school day for children waiting at the bus stop, or will there be snow during the morning or afternoon rush that could cause headaches for drivers? Or, the dreaded thing most people in Kentucky want to know about the first weekend in May: Is is going to rain on Derby? For instance, a Saturday with light rain wouldn't typically qualify for an Alert Day. However, light rain on the first Saturday in May would be high impact. These are all factors the WAVE 3 Weather team takes into consideration when declaring an ALERT DAY. ALERT DAYS will be very distinct, showing our studio lights in red and specific ALERT DAY graphics. ALERT DAYS will have an urgent look, letting you know the weather that's coming could impact you. ALERT DAY coverage will focus on weather first, so each newscast will begin with weather, keeping you informed on the hot or cold, rain or snow that's taking place in WAVE Country. Nelson County's very own Kevin Harned, a graduate of Purdue University, began his career at WAVE 3 in June 1998.